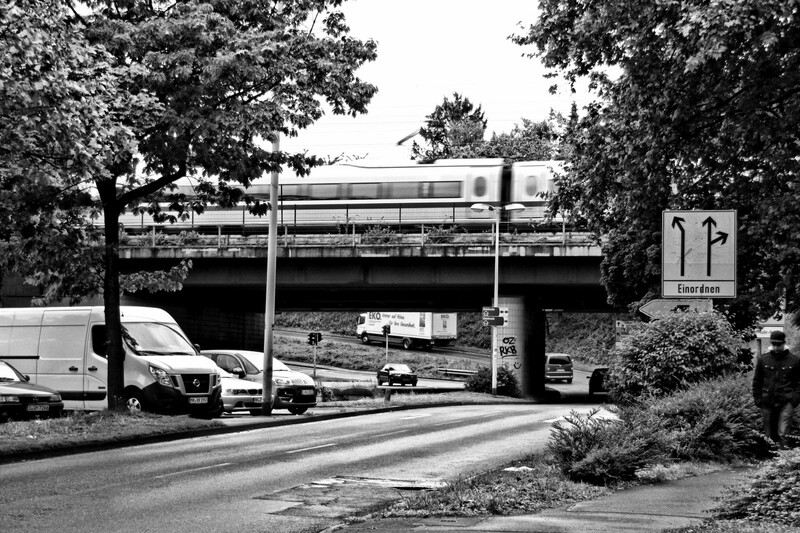 A look back to the railway bridge over Mülheim’s Tourainer Ring just East of the main railway station. There’s an ICE train going over it here and you can see how low the bridge actually is – fortunately the trains can’t drive very fast at this point because of a huge curve in the route. It’s still a lot of noise if a train comes through and you are actually under the bridge!